This is fourth day of Jumia Mobile Week and it has been so interesting as many people have been lucky to get cheaper phones for as low as N30,000. Not only that Treasure Hunt has kill it all giving 100% discount on any phone placed on search. For example if a particular is being sold for N50,000 and it is placed on hunt then it can be given out for N500 and this have been coming like this starting from day one (Monday) and this will continue until Mobile Week come to an end. 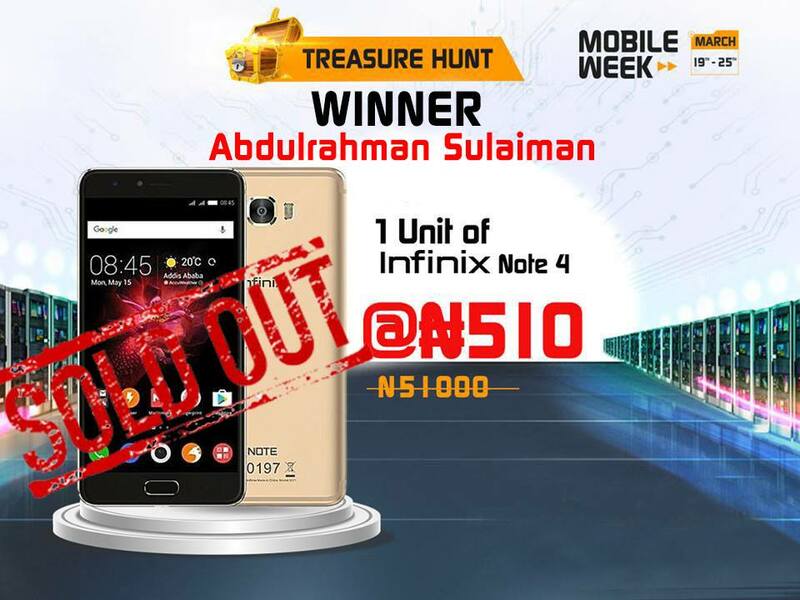 Jumia has announce Abdulrahman Sulaiman as the winner of today's Treasure Hunt search and he has gotten one unit of Infinix Note 4 for just N510 which is suppose to be sold for N51,000. You can be the lucky winner never too late as another one is coming up tomorrow. As announced on Jumia official page that tomorrow's Treasure Hunt winner will be going with Samsung Galaxy S9, I think this is becoming interesting. You can watch out and follow the trend, normal time 12PM-1PM stick to the page and shout for joy. 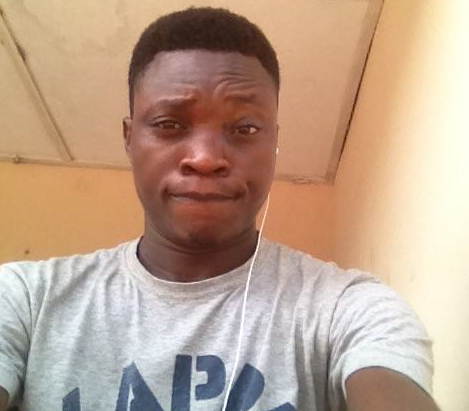 Thanks to Jumia.